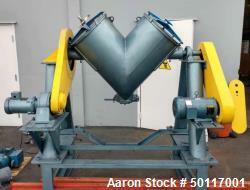 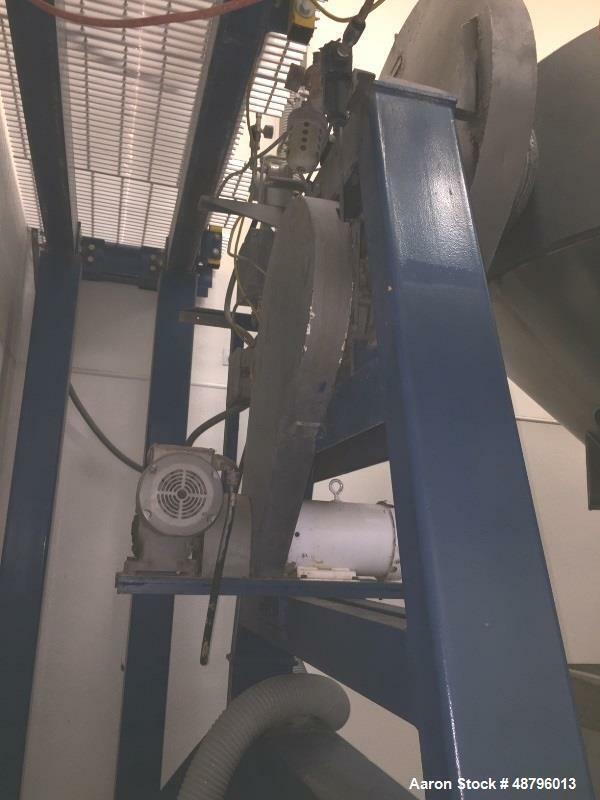 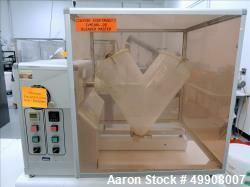 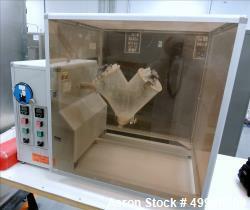 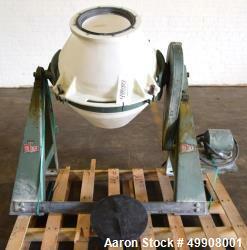 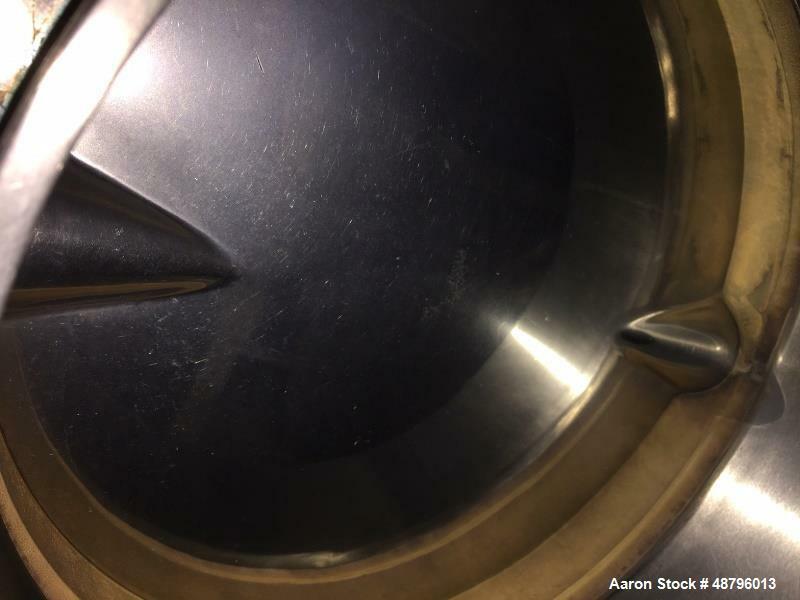 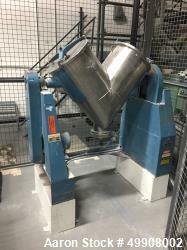 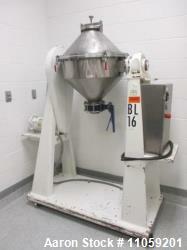 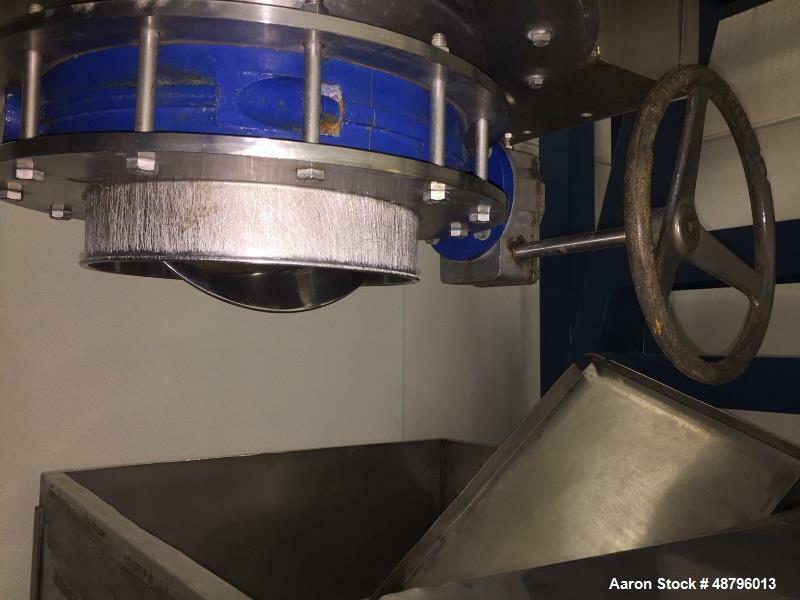 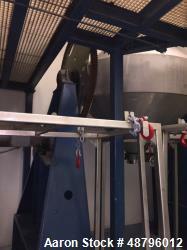 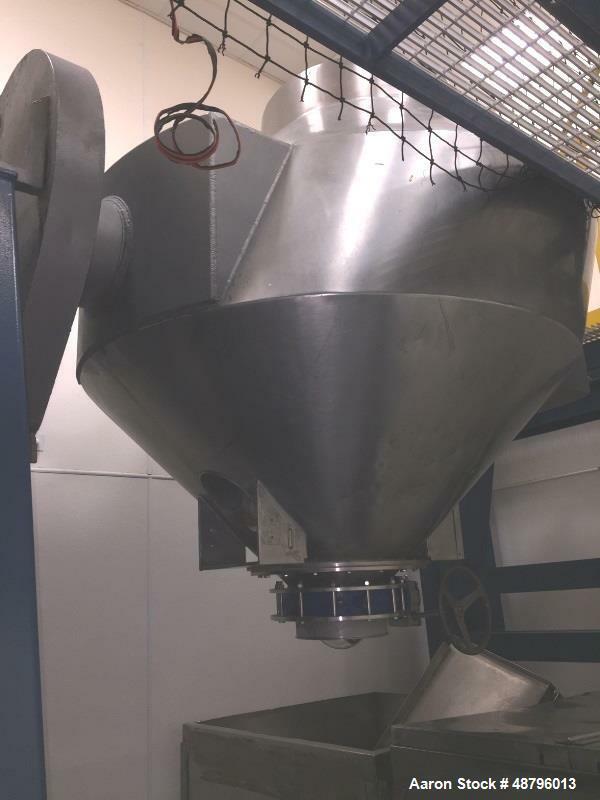 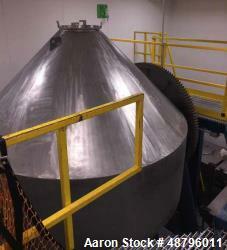 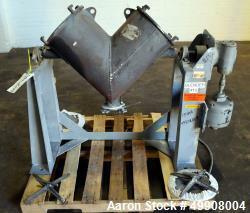 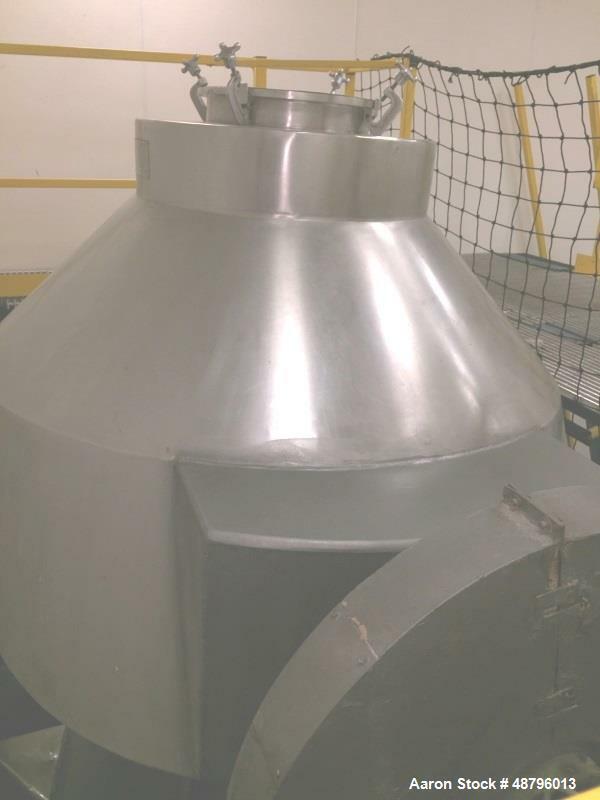 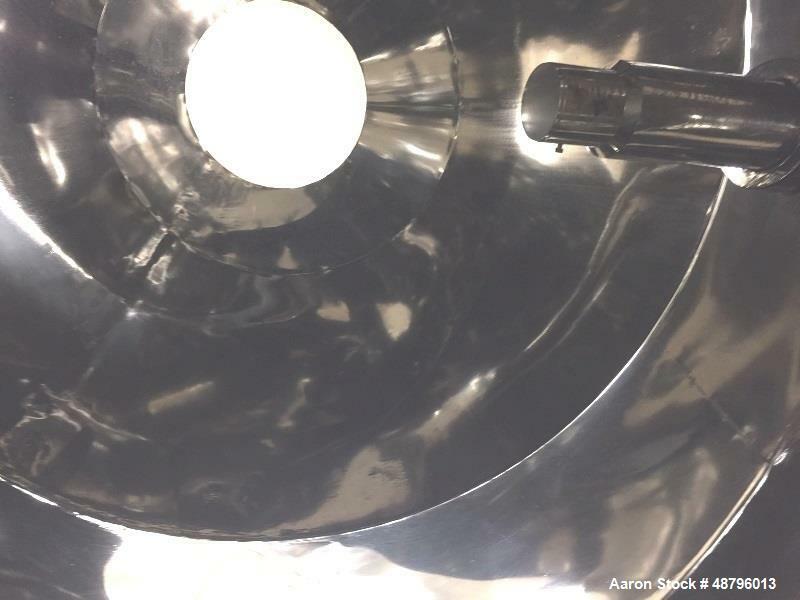 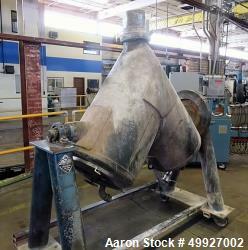 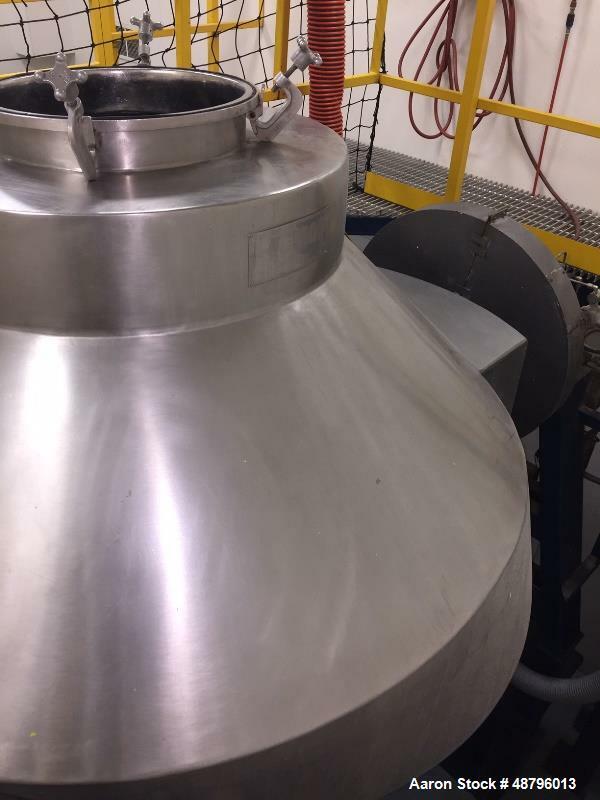 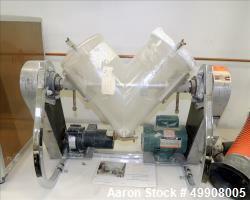 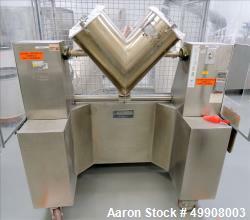 Used- Gemco 70 Cubic Foot Slant Cone Stainless Steel Blender. 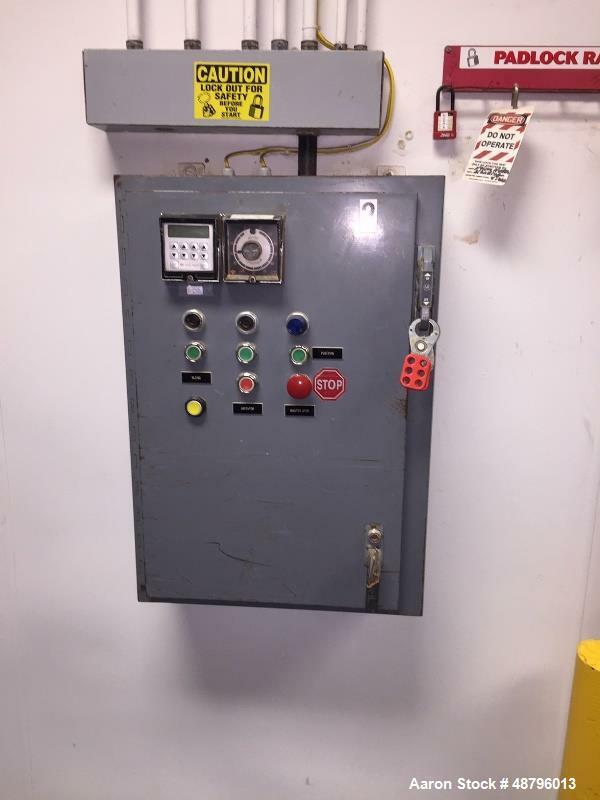 Control Panel and Timer. 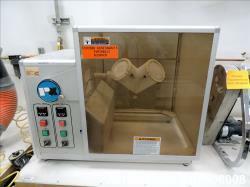 Unit comes with a 5 hp vari-speed motor and carbon steel platform. 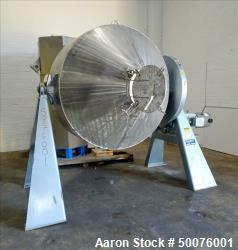 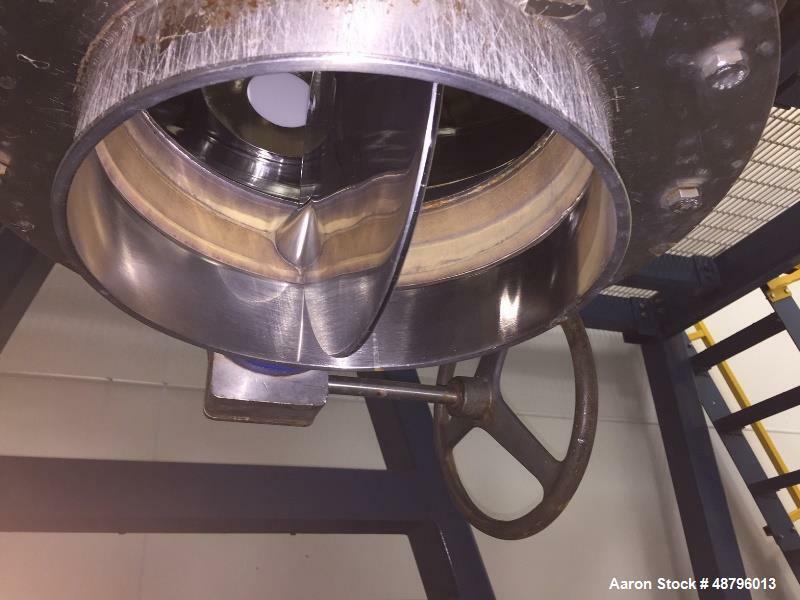 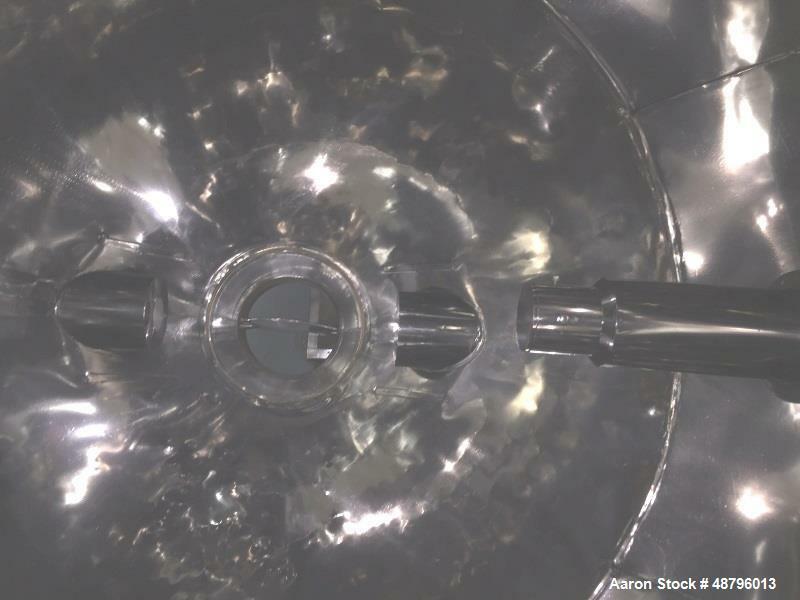 Unit has a High Polished Finish inside blender and has provision for an agitator bar, but no bar comes with unit. 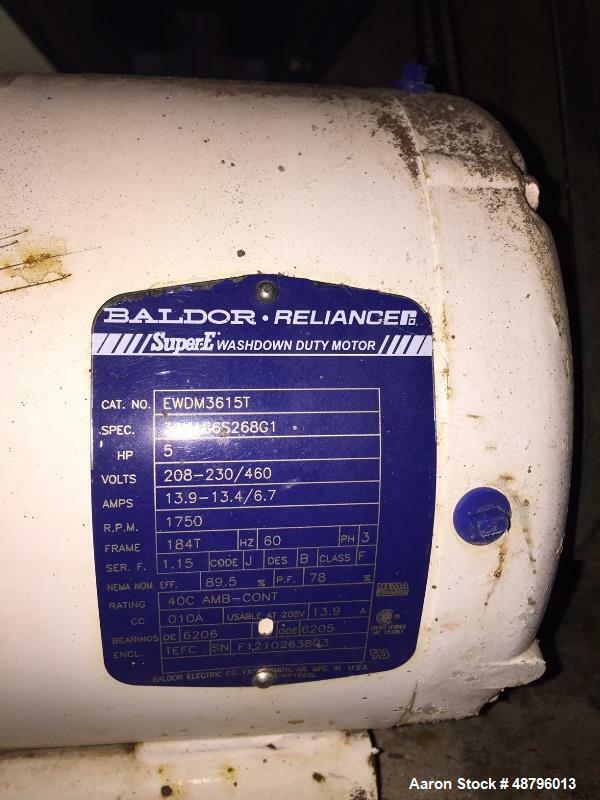 Electrics are 208/230/460 volt 3 Ph motor, 1750 rpm, 13.9 amps, 60 Hz. 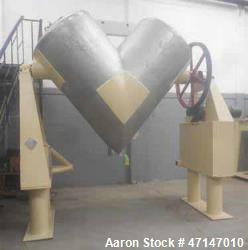 Unit has a hand operated discharge valve.